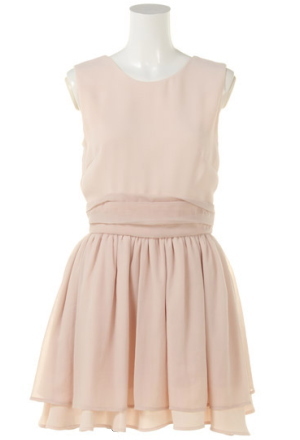 A very simple, chic, elegant dress versatile enough to be worn for dates or even special events. Top design is very clean cut, containing a few horizontal pleats around the waist, paired with lovely floaty, flared tiered bottom. A design that is meant to look very expensive and feminine. A daring deep round neck design at the back, adds some sexiness.